In the first month of the dig we have revealed the remarkably well-preserved ground floor of the Bridewell Lane clay-pipe factory, and have been trying to figure out what it might have looked like, and how the rooms might have functioned. After consulting experts in clay tobacco pipe manufacture this is what we have come up with so far. Take a walk through the clay pipe factory. Made by our Senior Geomatics Officer this 3D Pipe Factory reconstruction will give you an idea of how things might have looked back in the 1800s. 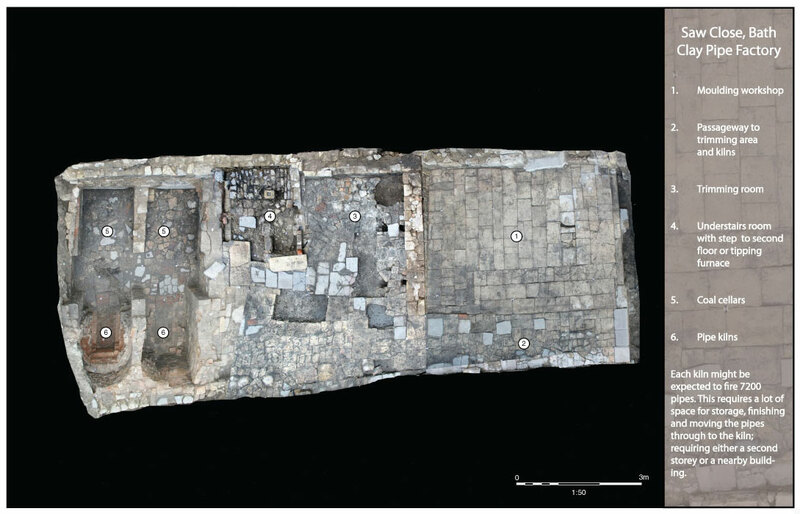 Check out our photogrammetry model of the remains of two kiln bases associated with the manufacture of clay tobacco pipes in the 18th to 19th centuries. For more information about the project and clay pipe manufacturing process visit our Saw Close page.